One story living. 3 large bedrooms, 2.5 baths, remodeled eat-in kitchen with white cabinets, stainless appliances & Corian countertops. Remodeled baths. Wood flooring throughout. 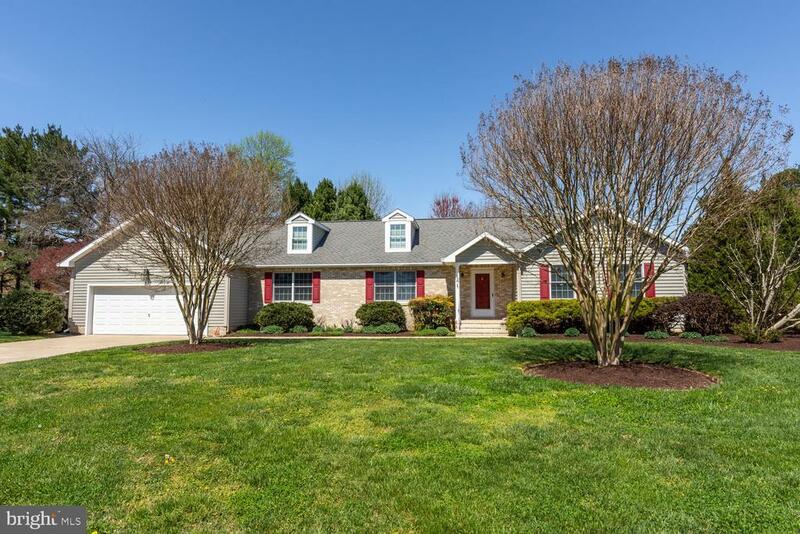 Family room with fireplace, sunroom/screened porch, walk-up attic, 2 car garage (24x24), fenced backyard and beautiful landscaping. Great location. Convenient to shops, YMCA and restaurants. Many improvements: 2010-Roof, 2 dormer windows; 2012-remodeled master bath; 2013-replaced flooring in 2 large bedrooms; 2015- new refrigerator, new dishwasher; 2016- remodeled guest bath, remodeled half bath, remodeled kitchen, new floor in sunroom, new kitchen sink, new washer/dryer; 2019- new stove/range, HVAC new in 2017. Directions: S. Washington Street to right on Papermill Street, home on the right, sign posted.